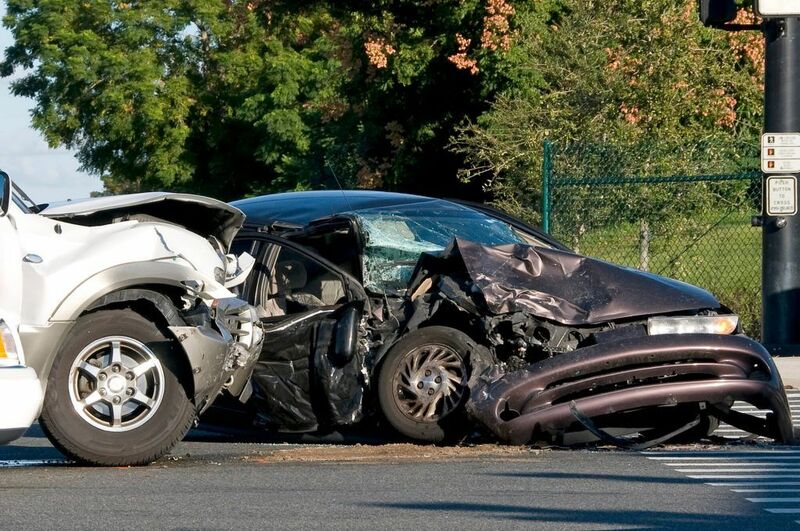 Do You Need an Experienced Sacramento Auto Accident Attorney? If you or a family member has been seriously injured in an auto accident caused by the negligence of someone else, I can help. My name is Ed Smith, and I've been helping auto accident victims secure the medical care and compensation they deserve for over three decades. And I'd like to hear about the serious injuries you or a family member has....and discuss what can be done about it. So call me at 916.921.6400 or contact me online for a FREE, no obligation consultation. My firm not only represents clients who have suffered personal injuries or property damage in automobile accidents but motorcycle, truck and bus accidents as well. Additionally, my firm also handles other motor vehicle accidents including those involving drunk drivers or hit and run drivers, uninsured or underinsured drivers, as well as accidents occurring from motor vehicle, SUV and semi-tractor trailer collisions and rollovers. We also represent those injured in car accidents, collisions or crashes resulting from defective products or design in automobiles and trucks, such as defective seat belts, tires or gas tanks. Injuries suffered as a result of these types of accidents can be severe and life-altering. You may have suffered whiplash or burns to your head or neck, have nerve damage or spinal chord paralysis, broken or dislocated a bone or limb, or even have lost the use of a limb. When you call, we'll discuss your situation and go over all the options available to you - and with over 30 years as a Sacramento Accident Lawyer, I am very familiar with all that will apply to your situation. If you or a loved one has been injured in an auto accident in Sacramento or surrounding areas, contact us online or call us at 916.921.6400 to set up a FREE consultation to discuss your legal options. Q. I was in a car accident in Sacramento, and I’m wondering who pays my medical bills. Do I send them to the at-fault driver? A. I’m Ed Smith, a Sacramento Car Accident Lawyer. It seems logical that you would send the bills to the at-fault driver’s insurance, but that’s not how it works. The at faults driver will not pay anything until the end of the lawsuit which could be a long time from the date of the accident. Several sources might pay your medical bills. Generally, look first at your auto insurance policy. There is a coverage called medical payments or medpay. Most auto insurance policies have med-pay up to $5000 or $10,000. I always suggest to my clients that they get this rather inexpensive coverage as it can help in an accident. If you have it on your policy, send your medical bills to your own auto insurance carrier, and they will pay all bills incurred within a certain period after the accident (Usually one to three years) up to the policy limits on your coverage. If you do not have med-pay on your auto policy, look into your health insurance from work. Almost always they will cover all or most of the medical bills arising from an accident. If you do not have separate health insurance, an experienced attorney can help you to find a doctor who can see you on a lien. That means that the doctor will treat you now, but wait until the end of the case before he is paid. Finally, most people over retirement age have Medicare which may help (although there are many reasons you might not want to bill Medicare). People on very low incomes might be eligible for Medi-Cal, although, again there are many reasons you might not want to use Medi-Cal even if eligible. People in the military have access to Champus which pays many of their bills. The question of which way to pay for your medical bills is somewhat complex. You can call me anytime for free, friendly advice at 916.921.6400. Again, I’m Ed Smith, a Sacramento Car Accident Lawyer who is always willing to help. Why Do Young Drivers Have More Accidents?